With the last edition of The Unscene being posted in February of 2012 (featuring the only release from Calabros), I decided to get my tail in gear, especially after the arrival of a holiday gift from my brother. 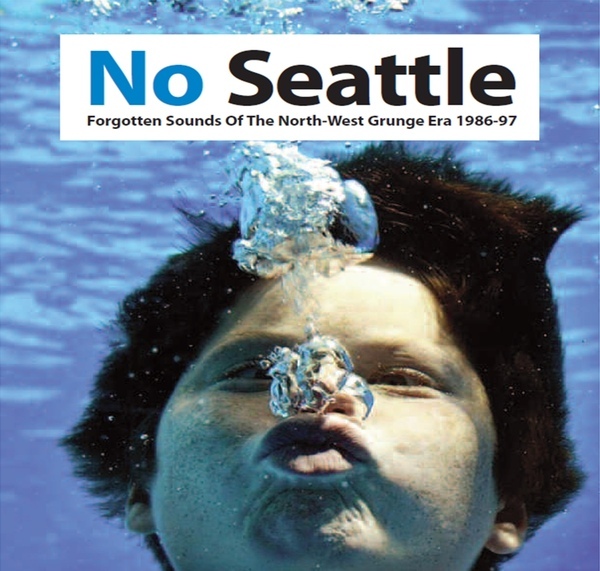 In a little box came the double disc compilation “No Seattle: Forgotten Sounds of the North-West Grunge Era 1986 – 97.” Normally, I’m wary about “grunge” compilations, especially those released after 1993 as they tend to layer in bands who had little or nothing to do with the sound, or, just feature the bands that everyone by now knows. This is especially true when the compilation comes from a record label that in recent years has mostly pushed out compilations of everything from Cajun soul music, Disco, and German electronic music to various house projects. This compilation comes to you via Soul Jazz Records, catalog number SJR CD286. Vinyl versions are available but are released as volume one and two separately. This entry was posted in Uncategorized and tagged Attica (the band), bands who shared members with Nirvana, bands who toured with Nirvana, Bundle of Hiss, Calabros, Calamaity Jane, garage rock, grunge, grunge compilation, grunge rock, Hitting Birth, Jack Edino, Kill Sybil, nirvana, Nubbin, psyche rock, Saucer (the band), Seattle, Small Stars, Soylent Green, Starfish, The Ones, the seattle sound, Thrillhammer, vampire lezbos, yellow snow. Bookmark the permalink.